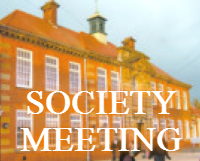 The second society meeting of the season, in newly renamed Caedmon College Normanby Site (you may know it as Whitby College or Whitby School), Room H1. In Members' monthly meetings we usually take a tour of the night sky for the coming month using the Planetarium program, sometimes have other topics for discussion, etc. Through this season, Andi will be taking us through the solar system, from the Sun at its heart, out to the Oort Cloud in its coldest reaches. Today is the most exciting time Astronomy has ever known. Humanity's knowledge of how our cosmic doorstep formed is growing exponentially, as we send satellites to examine the sun, explore the planets, land on comets and hop between asteroids. This is going to be a fun journey including both science and trivia. And for the first time in WDAS meetings there will even be prizes involved! What is the fifty-third decimal place of pi?